The new year could be challenging for owners of large containerships, while non-operating owners in the smaller sectors are optimistic of higher returns. One London broker source told The Loadstar this week his big shipowners could be in for a “double-whammy” from the impact of the delivery of an armada of ultra-large container vessels (ULCVs), which could coincide with significant off-hiring due to liner consolidation. He said: “There is definitely some nervousness in the larger sectors, and owners are urging us to get extension options confirmed ASAP”. There are more than 100 ULCVs of 14,000 teu and above expected to hit the water in 2018, which will effectively double the number currently in service. Their arrival will result in carriers attempting to cascade incumbent vessels into smaller trades, but prospects for vessels that are chartered-in are not good and they are likely to be off-hired at the first opportunity. Moreover, the acquisition of Hamburg Sud by Maersk Line and, particularly, the forthcoming merger of Japanese carriers K Line, MOL and NYK into Ocean Network Express (ONE), will oblige vessel operation planners to reassess their fleet requirements. 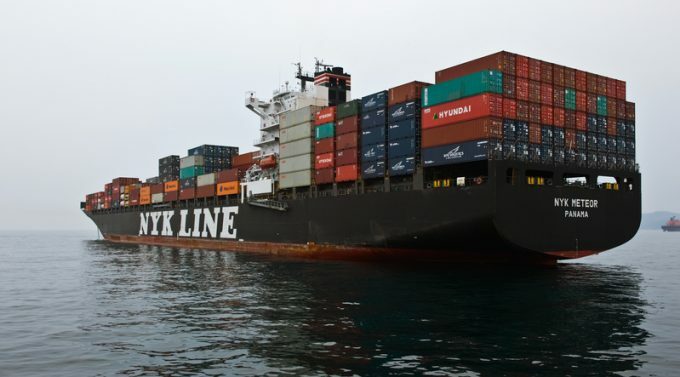 According to Alphaliner’s database, the Japanese carriers currently have 154 ships on charter – 54 each for MOL and NYK and 46 for K Line – on a mixture of long and short-term charters. With ONE planning in its final stages, The Loadstar understands that provisional decisions have already been made on the fleet requirement for the merged carrier prior to its official commencement in April. But it seems this has yet to be clarified to the market. Meanwhile, while noting that the charter market is ending 2017, “in a better shape overall than a year ago”, Alphaliner said that despite the improvement in demand, which has seen idled capacity fall to under 500,000 teu from 1.6m teu a year ago, overall charter rates remained “disappointing”. It said looking ahead, the charter market appeared “tricky”, due to the large number of big container vessels to be delivered, but that the outlook for smaller vessels under 3,000 teu was “more promising”. Focusing on this smaller sector, which has seen very few newbuild orders in the past couple of years, due to a blinkered concentration on building bigger and bigger ships, is the business model of Oslo-listed MPC Container Ships. MPC was formed in January as a non-operating owner (NOO) by German company MPC Capital and started trading in April. With the exception of one panamax vessel of 5,040 teu, MPC has built up a fleet of 39 sub-3,000 teu ships, according to vesselsvalue.com data. And yesterday the NOO announced that it had agreed to acquire a further two towards its target of 100 ships, with the purchase of the 987 teu Annika and the 1,041 teu Antigoni, both of which were built in 2008.